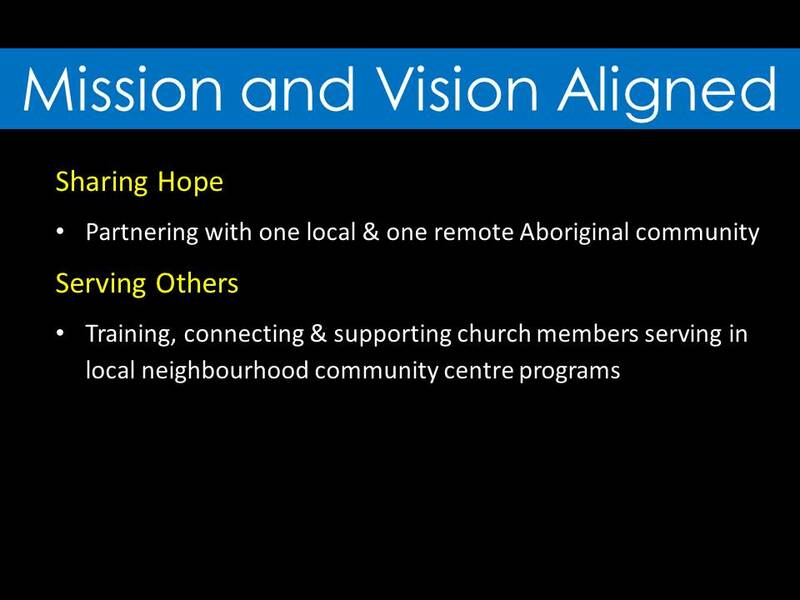 When we think about the scene laid out before our eyes at St Michael’s North Carlton at this time, we can look at our current context – our demographics, our congregation, our current ministries, our facilities – and ask, under God, what capability do you see our parish church has to grow and change in the coming years. 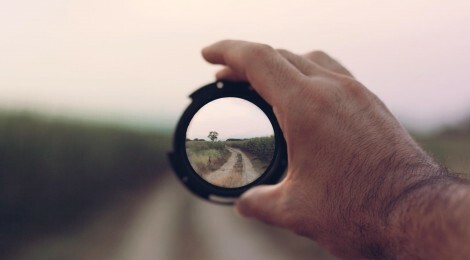 Our motivation and our ultimate goal as a parish is inspired, not simply by what we see as possible, but what we see as being aligned with God’s hope for humanity and for the whole creation. 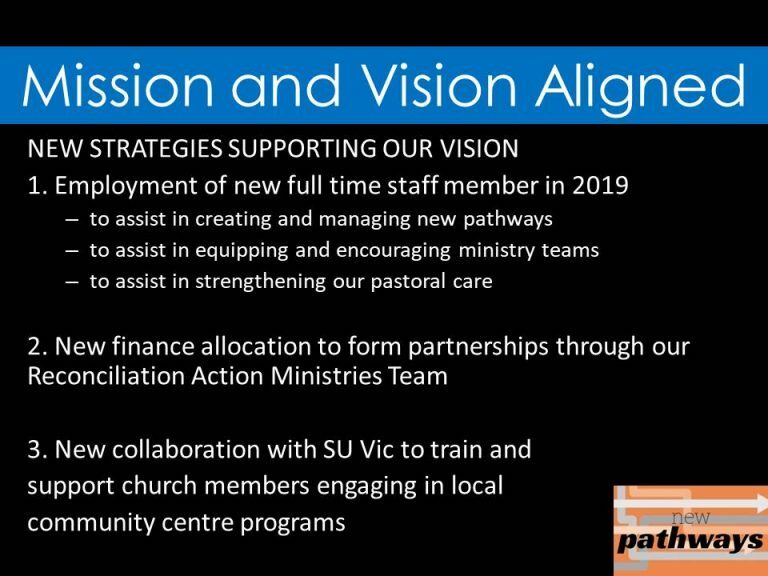 We heard in the reading from 2 Corinthians chapter 5 on Vision Sunday about that “ministry of reconciliation” Paul embraced. It has such broad scope of possibilities in any given context. Paul himself showed how the specifics of how such a ministry was lived out changed from time to time according to God’s leading and according to circumstances. So too, as we respond to God’s call to participate in the same mission, our eyes will be fixed on Jesus, our minds informed by God’s Word, and our hearts inspired by God’s Spirit to make some specific plans for the immediate and long term future. With this in mind we need to look back before we look forward. 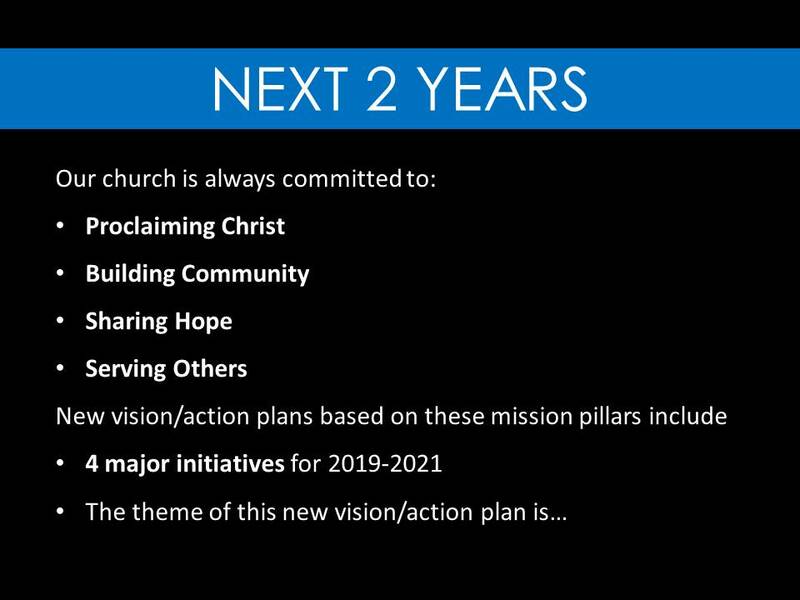 Our past 2 – 3 years of vision/action plans realized have seen some goals reached, and some laid aside; and others gifted to us by surprise. Yet, when we do dare to look forward to a new future not far from now, we do so built on foundations of others before us. 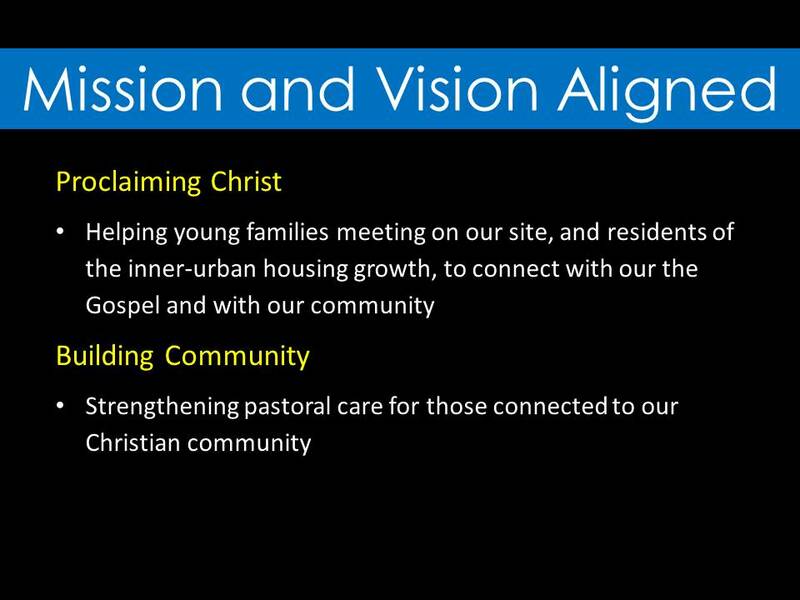 Our ever-present and ever-governing mission statement is the launch pad of each new vision/action plan we make together. 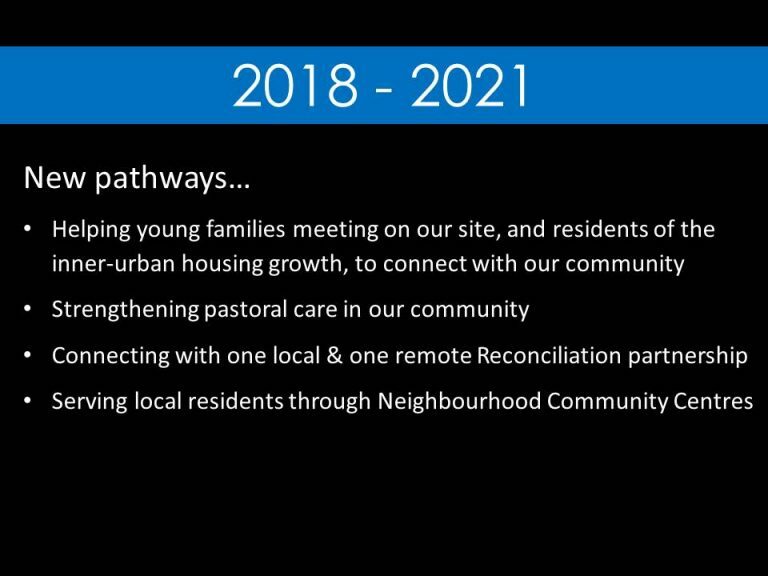 That’s the overarching theme of the new vision/action plan that your Parish Council is forming and will soon engage with you about: new pathways. 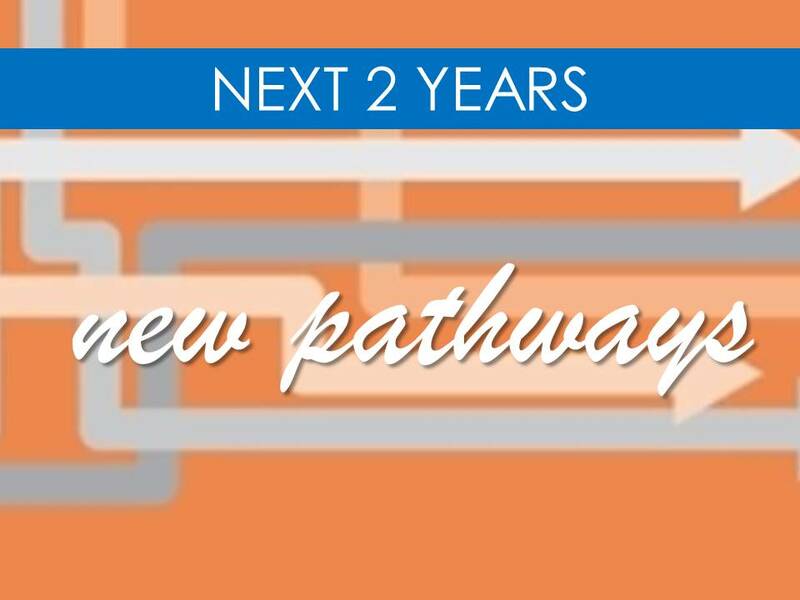 The new pathways that we envisage for the future will offer two directions: some facilitating the way for new people to connect with the Gospel and with the blessings of a loving Christian community; other new pathways, will facilitate the way for our church members to serve people in local and remote communities in new ways. 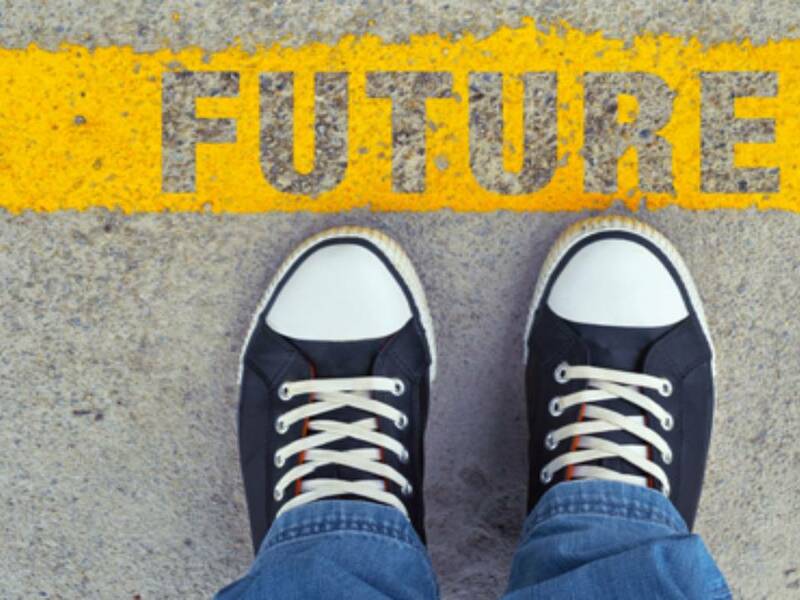 The pathways we are dreaming up for the future are different to those we now offer – and what they look like, and how they work, will only become clear as we engage with the people we begin to serve. In verse 14 of 2 Corinthians 5, the apostle writes, “…for the love of Christ compels us”. Once I heard this verse paraphrased as “…for the love of Christ is the springboard of all our actions.” What a helpful way to express this primary motivation for all mission and ministry! Here we stand on the line between what we are now, and what we can be under God in the future if we dare to step forward in faith towards some God-inspired goals. There’s an old “Yiddish” proverb: “Make plans, God laughs.” It’s true that some of our plans might meet detours and road blocks, others may be put to rest as circumstances change. Yet let’s not be deterred from prayerfully moving into the future with God’s encouragement and guidance and faith to equip us, and to ever be motivated by the love we know in Jesus Christ. 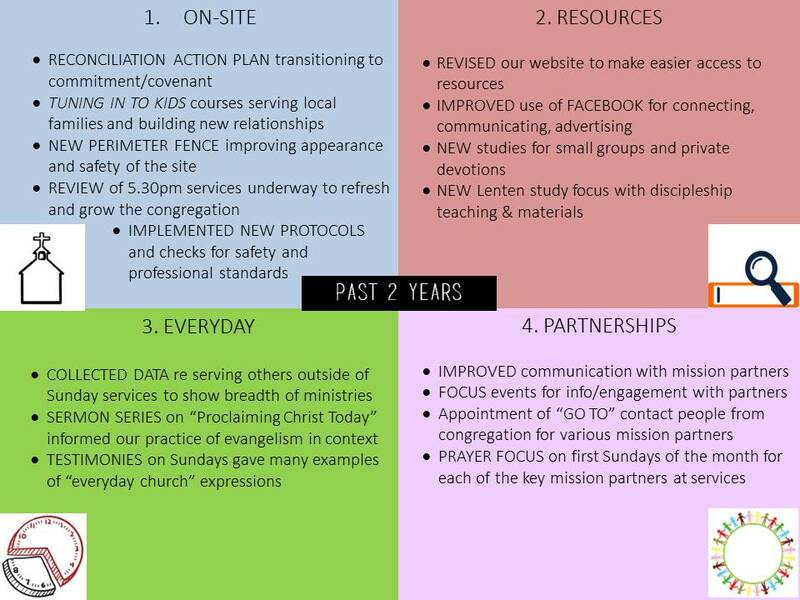 Nov 14—final documentation for communication of the plan to all at the annual meeting.